I'm having a hard time readjusting to normal life at the moment after spending last week in the lap of luxury at The Lanesborough. 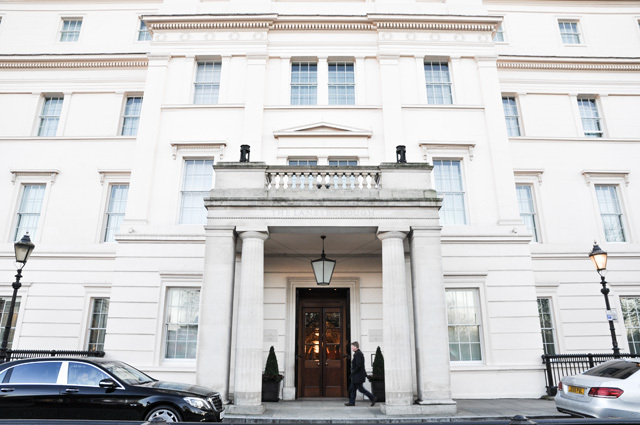 Located on Hyde Park Corner in London, this hotel is rich with history, which dates back to the early 18th century when Lanesborough House was actually St George's Hospital. It was only in 1991 that this famed location became a luxury hotel and has since played home to some of the most recognized names in the world for their visits to the capital city. Of course the only way you are going to find those names is through a serious google image search. You won't hear it from the mouths of the trusted employees that attend to the guests in residence. They smile at rumors and greet your intrigue with pleasantries, but reveal nothing. So...incredibly...frustrating! So, what does one do to pass the time in one of the greatest cities on earth while in residence with, arguably, one of London's grandest hotels? 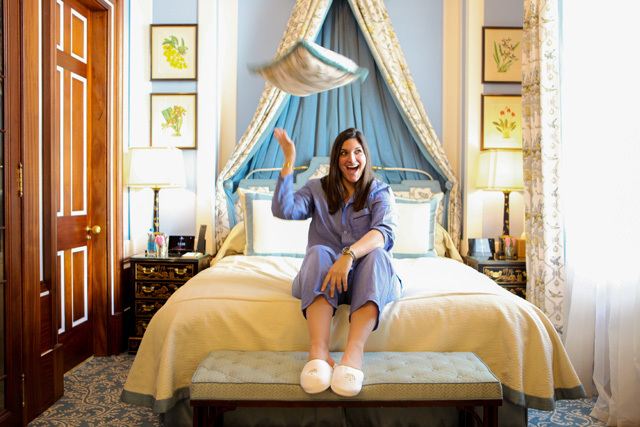 While I wanted to simply enjoy the grandeur of my suite exclusively (as it was actually bigger than my entire flat right down the road in London), The Lanesborough had other plans. 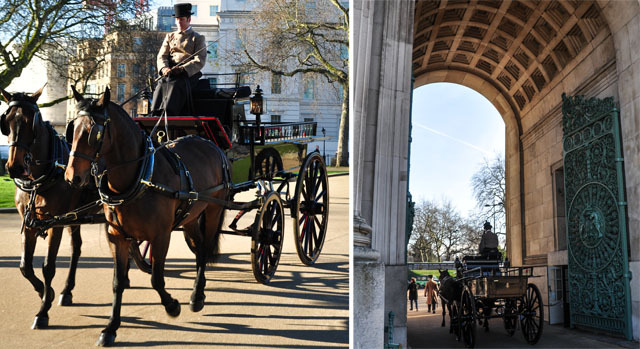 My job for the week was to play a local tourist and share the amazing experiences available to The Lanesborough guests on their social media channels. Hardly a tough state of affairs. Oh wait, I need to make this sound like work. Yes, it was hard, so hard. 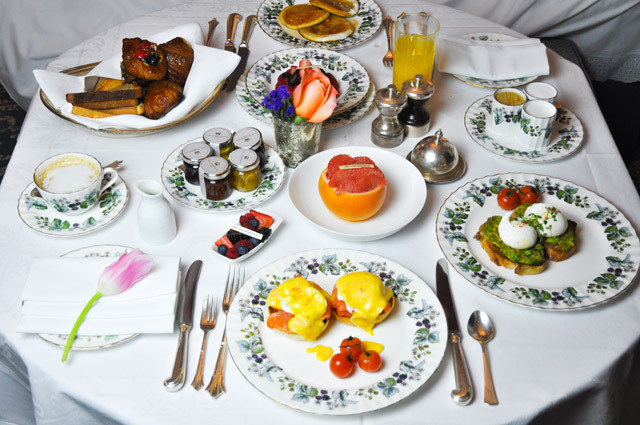 So many long hours of eating endlessly, enjoying priceless pieces of art, receiving private tours of stately homes and enjoying behind-the-scenes access to some of the most luxurious elements of London's elite lifestyle. I was exhausted. That is the truth. But, it wasn't due to an arduous schedule. It was merely an exhaustion from overexcitement, like a child after a birthday party. Too much stimuli! Now onto what I actually got up to. 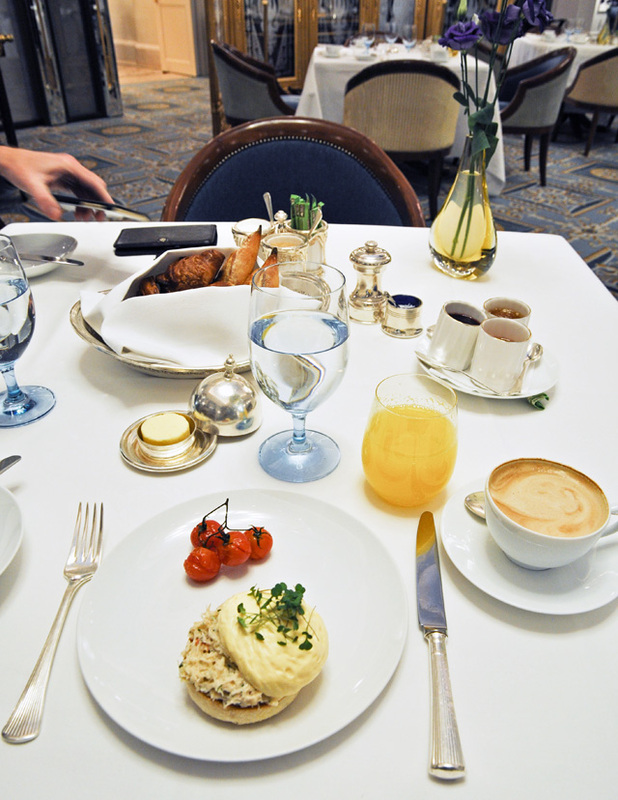 We'll start with the food because I do believe this played the biggest role in my stay. I can say that now as I look down and see that my stomach has still not returned to normal size. 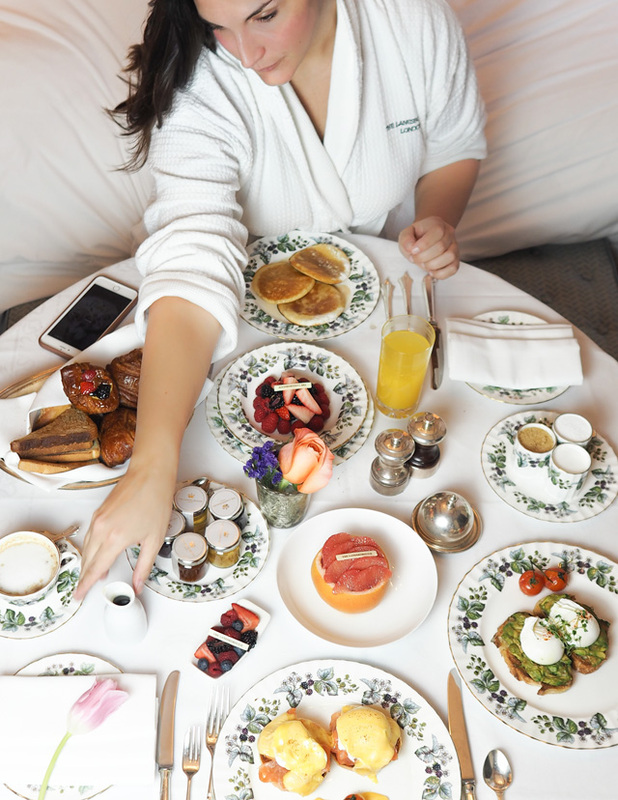 I swear I ate my way through the Lanesborough, from early morning breakfasts to late night snacks in the bar. This was an agenda all on its own. 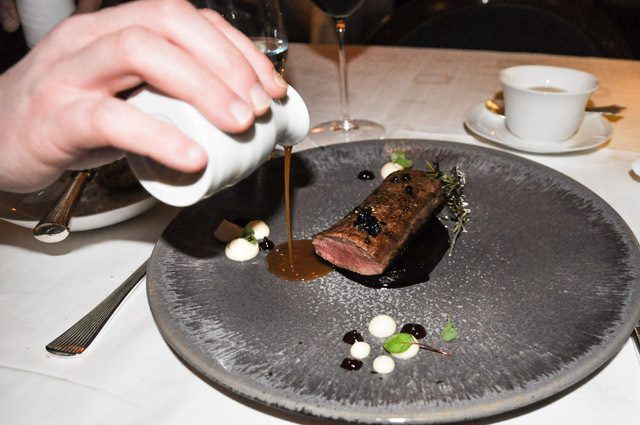 However, food at the Lanesborough needed to be experienced in every way possible. 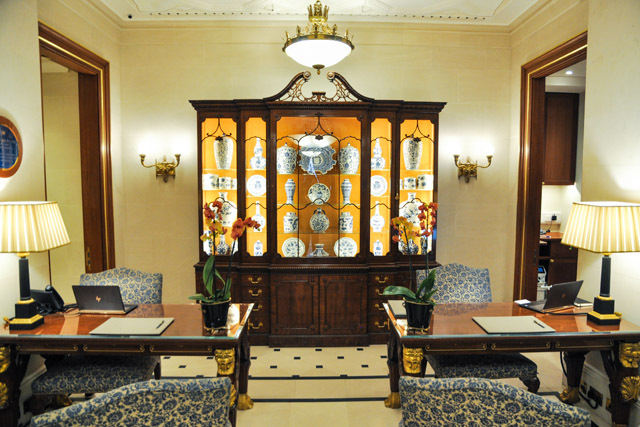 You see The Lanesborough's Celeste is a Michelin-starred restaurant. When your room is situated directly over such a culinary miracle, every single meal possible must be undertaken in this room. And what a room it is. 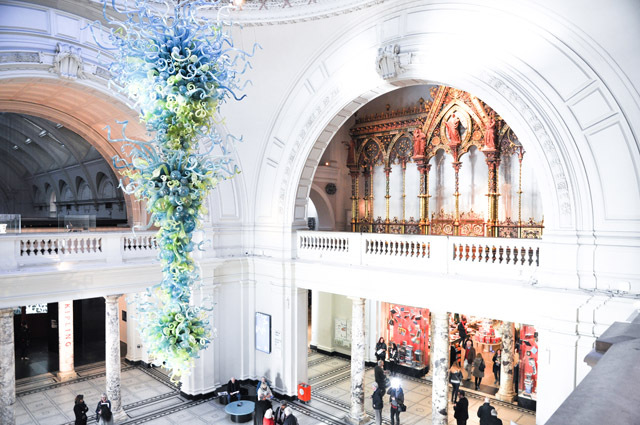 Two palatial chandeliers hang below a domed glass ceiling, providing a lighting like nothing you have ever experienced in London. It's romance at its finest and at every point during the meal I wondered if I was falling more in love with the food on my plate or my partner across the table. It was an epic emotional confusion right the way through. 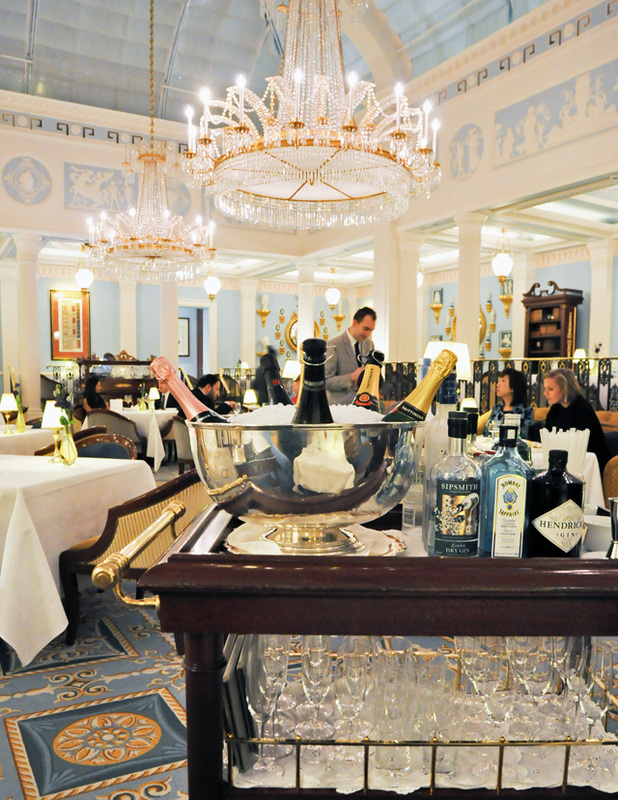 Beyond the Celeste, The Lanesborough is also home to the rather decadent Library Bar, where the cocktails are legendary and the live entertainment is stellar. Yes, your gin & tonic comes with live music in the form of a pianist who is everything you'd expect to find in a luxury establishment. This place is pure swank. 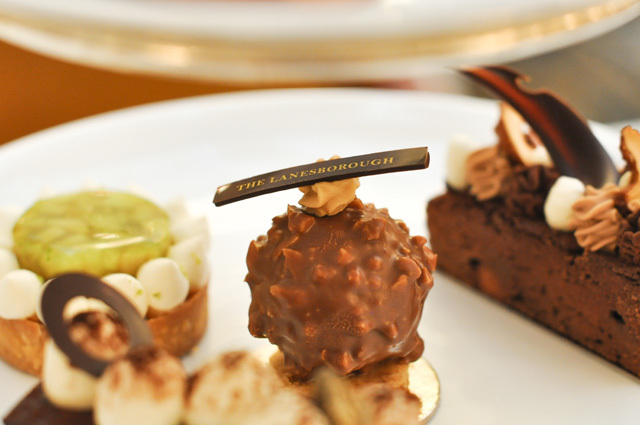 Afternoon Tea is also on offer at The Lanesborough in London. I suppose that isn't too much of a surprise as Afternoon Tea is a staple in London hotel culture. 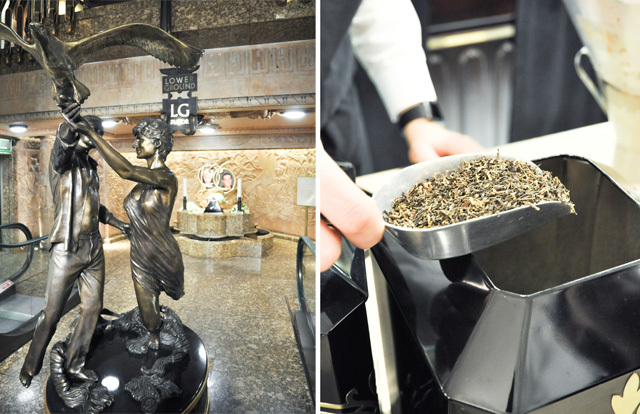 However, the afternoon tea here isn't your average experience. First of all, we are back in the Celeste. So already it can't be beat on atmosphere. 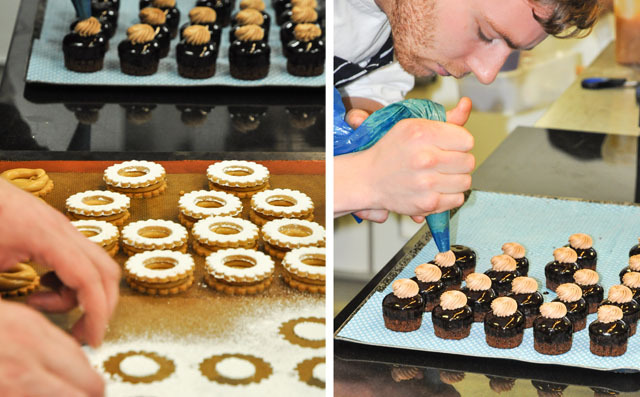 Keeping in mind that one of the most talented pastry chefs in the world is also in residence, baking the cakes, cookies, scones and more in house, and you have a recipe for success from the world go. 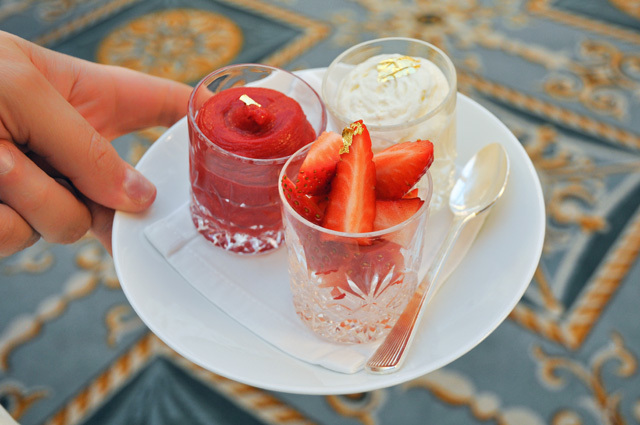 The Lanesborough even have exclusive tea blends to serve alongside their decadent display of sandwiches and sweets. 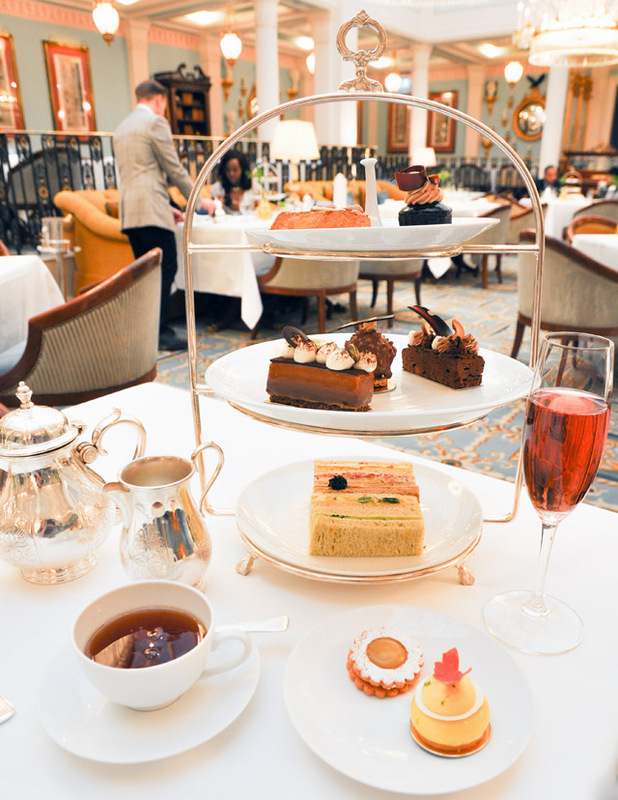 And a top tip for those looking to book an afternoon tea in London, even if you aren't a hotel guest - this is truly fantastic value for money and will be one of the best teas you can experience. A piece of advice? Splurge for the champagne. It's worth it and comes with a lovely accompaniment of sherbet, strawberries and cream - a perfect pairing. Last, but certainly not least, we have the room service element. Every room comes with a butler who is there to service any need you may have during your stay at the hotel, but also seems to be able to know what you need before you realize it yourself. Case in point, the delivery of a tray of vodka tonic mixers after a rather intense day of trying to catch up on work. 6pm, on the dot, my doorbell rang and there stood my man suited (the butler), with said tray in hand. How did he know? I don't care, I took, I drank, I relaxed. I'll finish this section on a sweet note - breakfast! 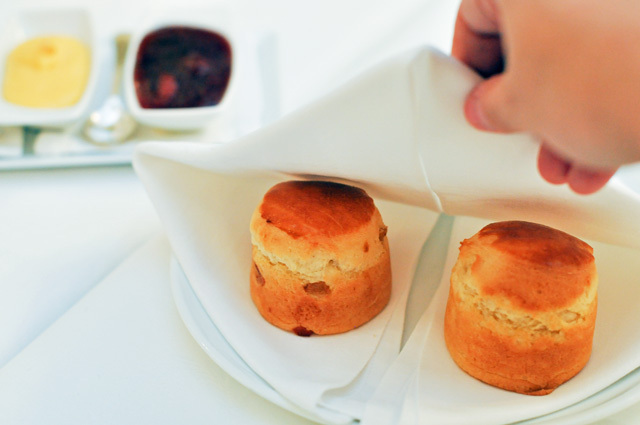 Room service is spectacular. It's easy, ordered through the tablet on your bedside table; it arrives on time; it's piping hot; and it's so damn beautiful. This is the problem with beautiful food and being a photographer. You have to photograph it at every angle, then you get carried away, and it's usually stone cold by the time you sit down to eat it. 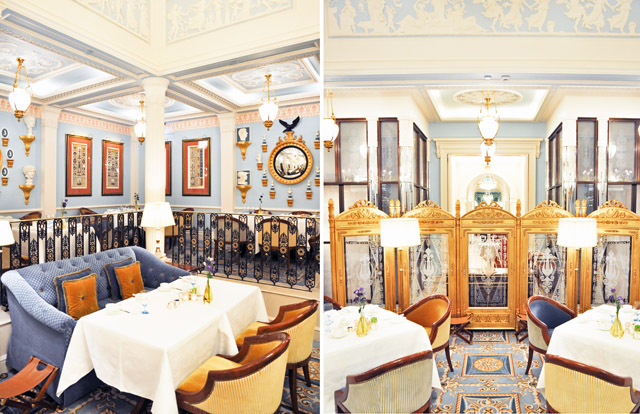 This is just the magic of The Lanesborough carrying over. The food was still delicious and at least luke warm by the time I finished with the camera! Onto a word or two about the hotel itself. Now keeping in mind that the hotel has just undergone a serious refurbishment, which left it closed from 2013-2015, you would never know that this was what was considered "new." That's not to say it isn't beautifully updated, but they have given it a fresh and clean look while maintaining the feel of a historic residence. One does feel as if they may be sleeping in Buckingham Palace rather than a swish hotel. It's magical and you do wake up feeling like a princess. No exaggeration there. Beyond the rooms, there are stairwells, hallways, banquet halls and bathrooms to be discovered and explored around the property. Each and every space is considered and perfectly put together to be aesthetically pleasing, and it wins at this game of decadence dramatically. I am always surprised by how little people use the concierge service supplied at hotels. For those exploring new cities, this is the best resource you have for knowledge about the area. It's also the guy or girl with the keys to the kingdom. They can truly open doors you wouldn't even imagine were available. 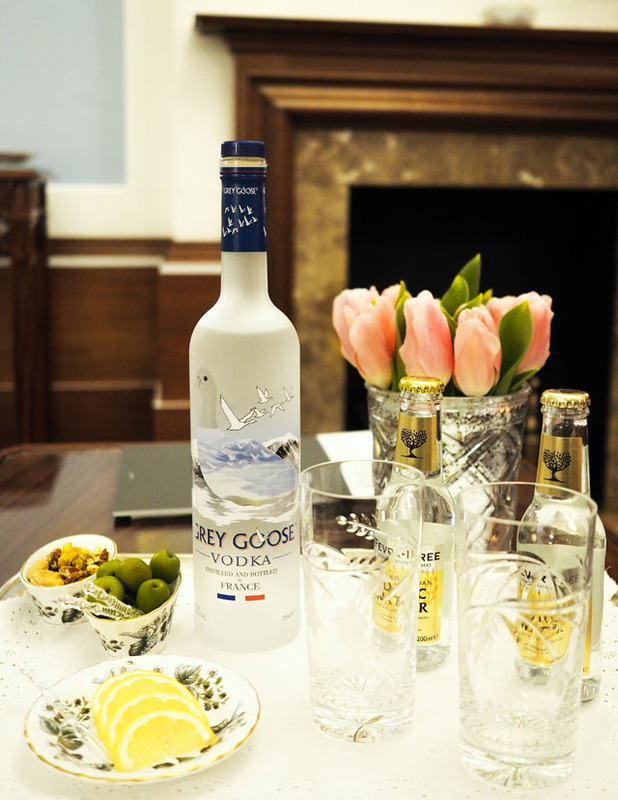 Always consult the concierge. They are there to help and their happiness is your happiness! Morning one at the hotel and I was enjoying a special all access tour to Harrods, before opening hours. We arrived at 9am, to work with the personal styling team, and were given a personal tour complete with history of the building and its owners. It was a once in a lifetime opportunity and it was organized through the hotel. These guys have all access, folks, truly. Your wish is their challenge and if they can make it happen they will. You just need ask! Not only did The Lanesborough arrange some spoiling shopping, they also made sure I had my fill of cultural events close to the hotel. 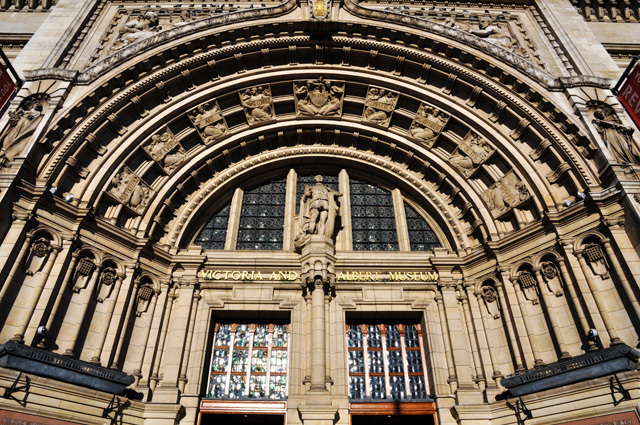 My first adventure in the arts was at the Victoria & Albert Museum, a place I used to frequent my first years living in London. It has been years since I've been back and now I truly feel as if I have missed so much. 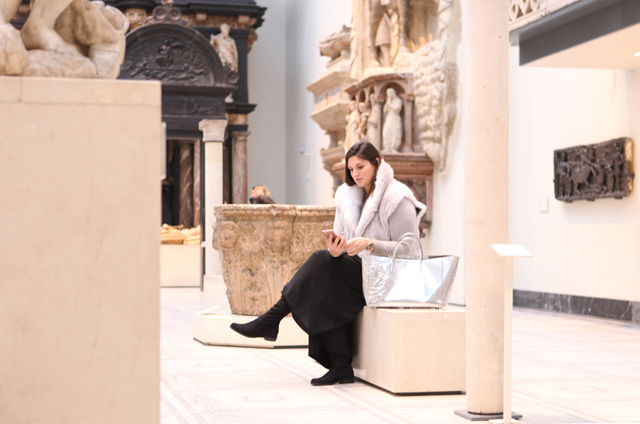 The temporary and permanent exhibitions are truly experiences you and the whole family will enjoy. This is a great opportunity to take in the rich culture that is truly just a hop, skip and a jump away from the hotel itself. At the moment they have the exhibit "Undressed" on show. This showcases a history of undergarments and is truly an eyeopening moment for any woman! Oh the corsets! Most of us pass through Hyde Park Corner on our way into work without ever really taking note of what's around us. Hundreds of times I've passed The Lanesborough and its historic neighbors and never found myself thinking twice about being able to access any of these buildings. 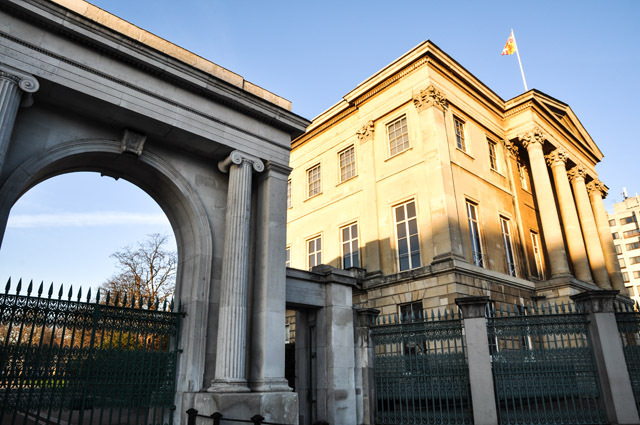 My first afternoon at The Lanesborough, I found myself exploring Apsley House, historic home to the Dukes of Wellington. It sits directly across the road from The Lanesborough and houses one of the most incredible collections of art in the city. Bet you didn't know that. 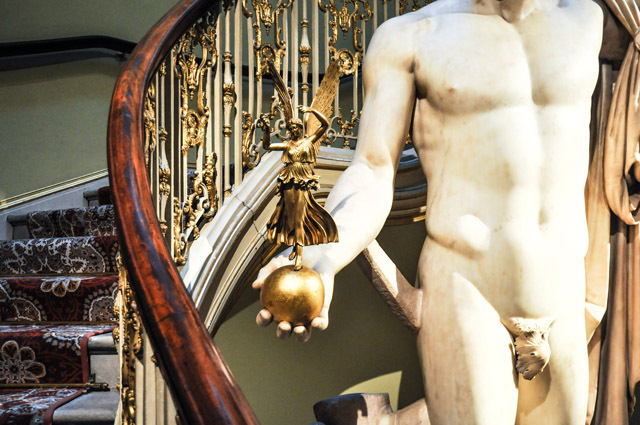 There's a long history here, which the curators are all too happy to share with you, and it's one of the best kept secrets in London. It's part of English Heritage and is open to the public from April 2017, after their current refurbishment is complete. More on this when you're able to access it. But, for now, plan it into your itinerary for any post-April arrivals in London. 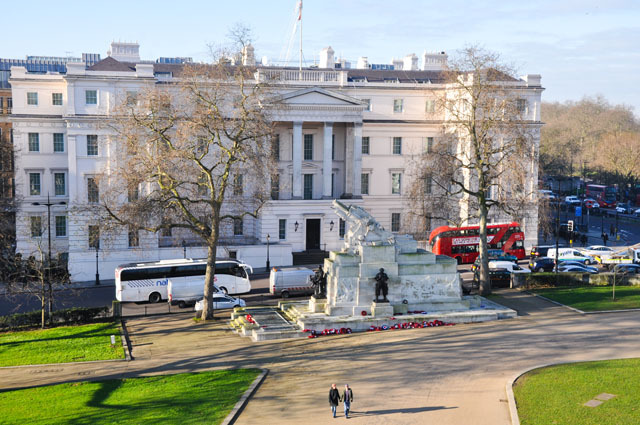 Next on the list of educational visits was the Wellington Arch, also an English Heritage site and also just across the street from The Lanesborough. Fitting that it sits across from Apsley House. Not a coincidence, but again a long story there and one which I encourage you to explore. The Arch is in fact open to the public, with a three story museum, gift shop and a killer view across London from the top. 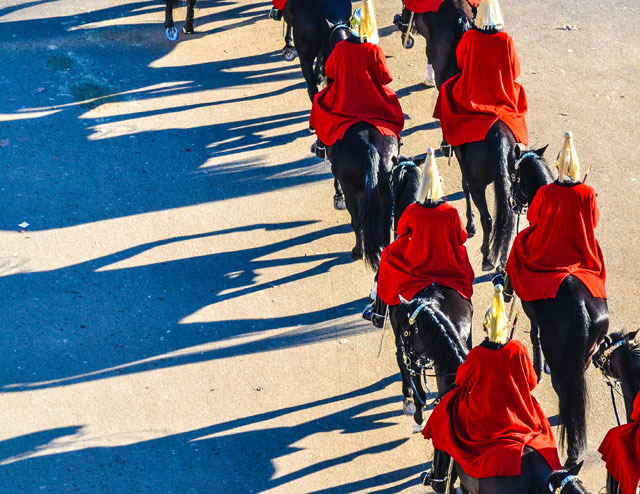 And if you're organized enough, it's also a great place to watch the Queen's Horse Guard cross on their way to Buckingham Palace every morning at 10:40. They go right through the arch, allowing you to witness a tradition from the best viewpoint possible today. Forget waiting with the thousands at Buckingham Palace, get the to the Arch! This has to be the best kept secret in London, truly, well that and the aforementioned Apsley House. Of course every meal during my stay couldn't take place in the same restaurant. 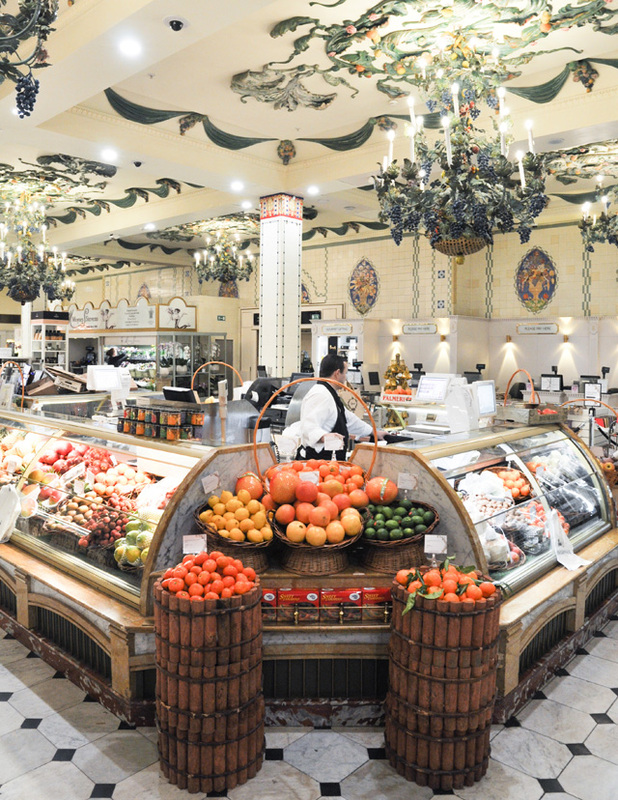 The Lanesborough are aware that they sit in a culinary heaven for visitors and are active participants in supporting the neighborhood. During my stay I was introduced to the phenomenal Uni Restaurant in Belgravia. I can sum this up pretty quickly for you. 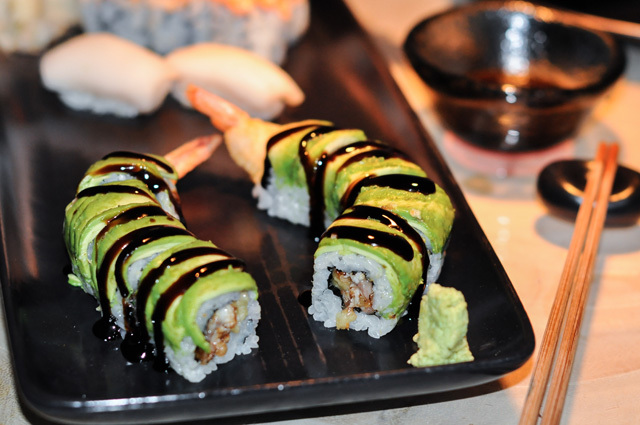 BEST SUSHI I'VE HAD IN LONDON. This place is insane and I recommend it to visitors and locals alike. It is mouthwateringly good, has a wonderful and intimate atmosphere, and provides a quick and easy option for a casual dinner outside the restaurant. 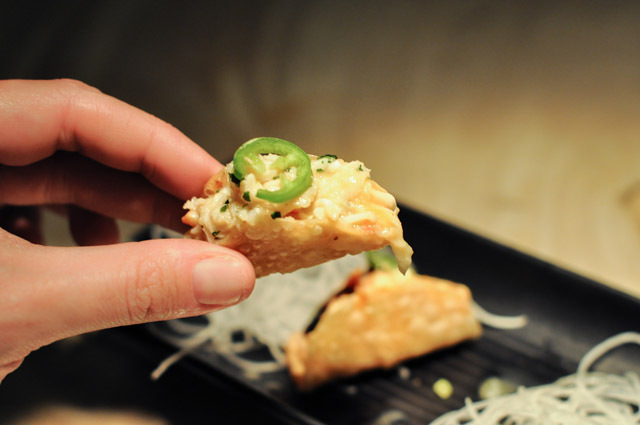 You MUST order the tacos, by the half dozen, the dragon roll and the tempura shrimp. This is my new favourite and I'm telling everyone will listen about how fabulous it is. 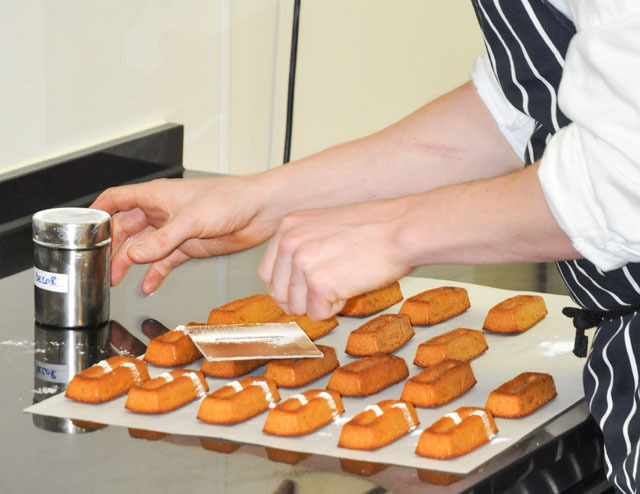 No comprehensive view of The Lanesborough would have been complete without a visit to the pastry kitchen with Nicolas Rouzaud. This man is your dream man. Not only is he handsome, but he bakes. Can we talk major swoon levels here? I knew the moment I bit into his fresh-out-of-the-oven flaky chocolate croissant at breakfast that this was a man I would bow down to. It's a good thing our culinary relationship only lasted a week or I'd have some serious issues buttoning my jeans. His kitchen was immaculate, his crew all enthusiastic about their creations and the end result as addictive as any drug I can think of. I dream of his pastries. This is no joke. 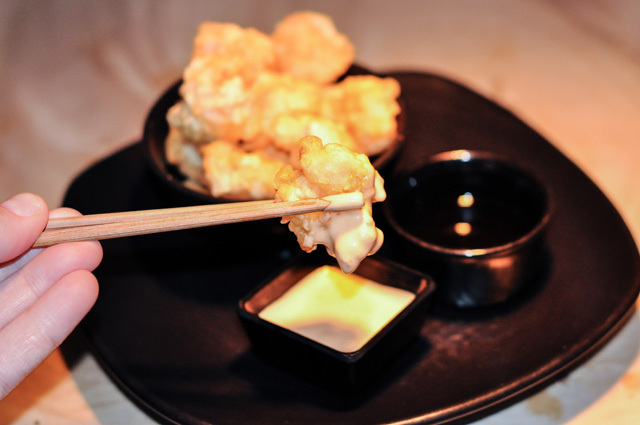 One bite and you are hooked for life. 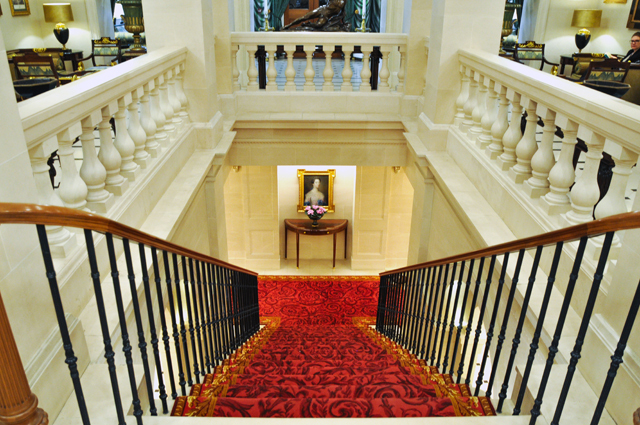 To say that a stay at The Lanesborough was an experience to remember would be a great understatement. This was truly a view into one of the most luxurious experiences on earth. From the genuinely friendly and accommodating staff to the stunning interiors, I can't think of one reason why this shouldn't be your hotel of choice in London for future visits, or romantic staycations. If nothing else, pop in for a drink in The Library or afternoon tea in the Celeste. You will be swept away to another world for however long you choose to spend within these historic halls. 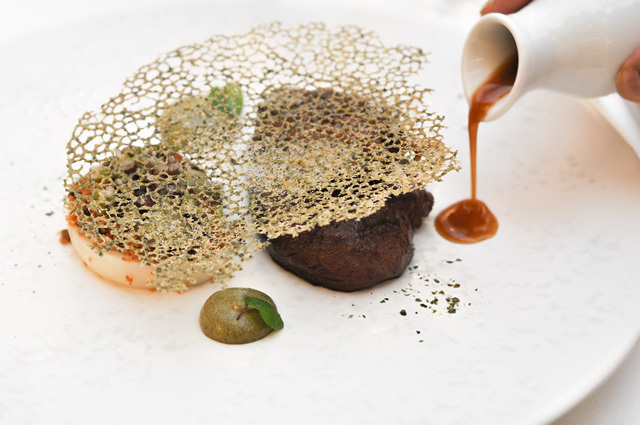 Fashion Foie Gras was a guest of The Lanesborough in London.